Description: A sweet celebration of the polar bear and the beauty of the North Pole. 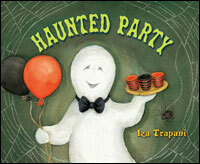 What I like about this book: The story is quite short and sweet and the illustrations are delightful. For early talkers, encourage them to “read” the book by describing each page. The illustrations are great for generating subject-verb utterances. For kids working on /r/ words, this book offers a short, sweet opportunity to practice. Targets include: polar, bear, northern, stare, far, north, mystery, bright and star. Entire World of R Activity Books. Some of the ideas presented by Pamela Marshalla in her book, Successful R Therapy. 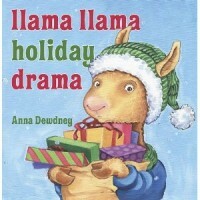 A brief description: Llama Llama Holiday Drama is a cute book about a young llama who endures all of the preparations of Christmas and eagerly anticipates the arrival of the holiday…only to find that the hoopla of the big day is a bit too much. The book ends with little llama snuggled up in his mama’s lap, learning that “Gifts are nice, but there’s another; The true gift we have is each other” (pg. 27). Goals/Concepts addressed: Llama Llama is ripe with possibilities for speech and language goals. There is, of course, the most obvious one: any child working on /l/ sounds will love to practice them over and over while reading this book. The book can also be used to facilitate a discussion of Christmas vocabulary, both familiar (fluffy snow, cookies, gifts, stocking, snowflakes) and unfamiliar (dreidels, eggnog, jingle music, funny elves, lights ablaze). 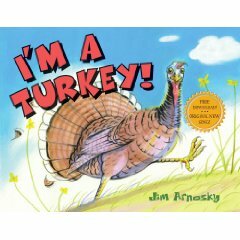 It’s written in a catchy rhyme, making it a great book for helping build phonemic awareness. And finally, the underlying themes of anticipation, disappointment, and love help weave a beautiful story that holds great potential for promoting discussion about emotions. Practice or bombard with /l/ sounds while reading. Before reading the book, discuss Christmas vocabulary. During or after reading the book, discuss and define unknown vocabulary. Before reading the book, list and discuss Christmas traditions. As you read the book, check off the traditions you had listed. After you read the book, list and discuss the traditions that were not thought of before reading the book. Ask students to summarize the narrative in their own words, as doing so requires them to infer what happened to little llama and put it into simple narrative format. Use the book as a springboard for discussion about emotions; talk about different emotions and how we learn to manage our emotions. ALSO ADDED a Lesson Plan from the Lesson Diva idea. Thanks Heidi from @pediastaff for the heads up! 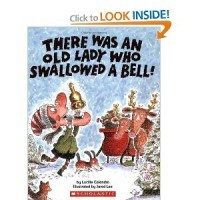 Title: There Was an Old Lady Who Swallowed a Shell! 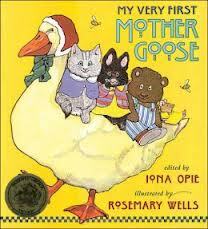 Description: This story follows the same sequence as the little old lady who swallowed a fly. However, this is a beach theme, with the little old lady swallowing sand, water, sea gulls and more. Why I like this book: The absurdity of the story itself, always hooks kids. Especially the “burping” and “throwing up” concept that happens in the story. A great summer read, as many kids spend lots of time at the beach. Photo copy the pages, and have children put the story in order after reading it. 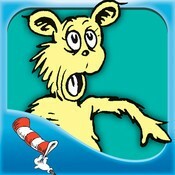 Have children attempt to fill in the blank of the rhyming word when reading (i.e. 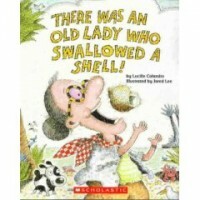 I don’t know why she swallowed the shell…she didn’t____ (tell)). See if they can generate other words that rhyme with the target. A great story to discuss beach vocabulary, or water animals (crabs, lobsters, sharks, etc.). See if kids can generate what they would bring to the beach and what they would see. Use big paper and have them draw and generate a beach scene. Do a simple beach craft with simple sequencing (i.e. make a crab or shell out of a paper plate, make a starfish and cover with ‘real” sand, etc.). Focus on the sequence and include temporal markers (first, next, then, etc.). You can even take digital pics of the child doing each of the steps. Print and send home- a great sequential and personal narrative task. Create their own “There Was an Old Lady book…. Have them think of a “final” product like the sand castle (i.e. a birthday cake, a tree house, etc.) and what “parts” she would have to swallow (i.e. the flour, frosting, candles, etc.). Kids love to think of ways to have her “throw up” like in this story. 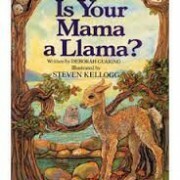 Title: Is Your Mama a Llama? Description: A young llama asks many of his animal friends if their mothers are llamas. 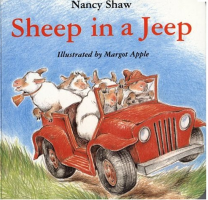 Why I like this book: The repetitive nature allows for kiddos to help you read, rhyme, and make “guesses” as to who the baby animal’s mother is. The illustrations are awesome too. • Have your students fill in the rhyming word as you’re reading. If they’re struggling with the word, give them the initial sound. (i.e. You don’t need to go on, I think your mama sounds more like a sssww…..(they fill in swan if possible).